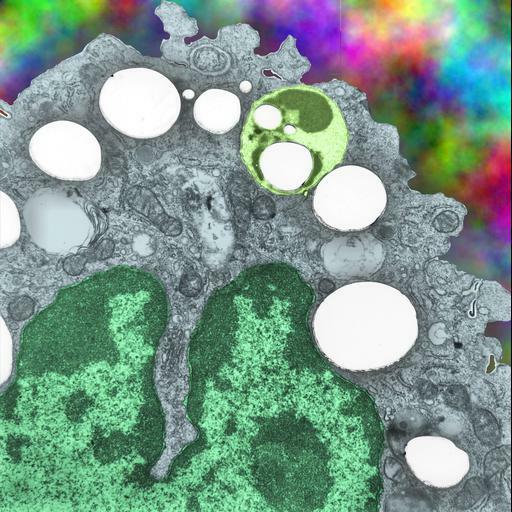 Transmission electron micrograph of an alveolar macrophage which contains E2, a fluorocarbon. This macrophage is from a mouse which liquid breathed that fluorocarbon for 3 hours and was allowed to recover for 17 days. White areas are remnants of E2.